Two powerful typhoons swept over the island of Hong Kong and mainland China late in August 2017, causing massive damage and resulting in 22 deaths. Now, Australian internet service providers (ISP) are warning that damage to several undersea cables that were in the path of the typhoon will likely cause issues with our internet. iiNet and Internode, both TPG-owned providers, have stated that the cable breaks (the SEA-ME-WE3 cable in particular, located 54km off the coast of Hong Kong) will negatively affect traffic for up to six weeks. In the interim, traffic has been temporarily routed via the US while submarine teams begin repairs, offering a “tentative repair completion of 13th October 2017”, according to the alert sent by the ISPs. What this means for the consumer is that, if you are using either iiNet or Internode services then you will likely encounter dips in speed, slower loading web pages, or latency when gaming online or watching video streaming services. 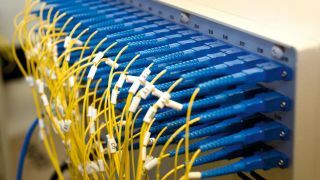 Although there is an estimated repair time, the alert from the ISPs also cautioned that “these dates tend to change over time due to the nature of subsea repairs”, so there’s every chance that the latency could last even longer. Here's everything you need to know about speed tiers when choosing the best Australian NBN plan.